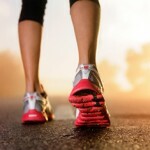 Are You Running Your Marketing or Just Taking It Out For A Stroll? It seems to me that there is a very good reason we use the word “running” and apply it to so many of our day to day activities. Whether it’s running the kids around, running a business or running on empty – we all seem to be doing a lot of running these days – but where are we heading?